Hey some of you who follow my Instagram or Facebook would have noticed that I was in Sabah recently. I was privileged to be one of the bloggers to join 1 Utama Feed The Fish Go Green Campaign Media Familiarization Trip to Sandakan, Sabah. 1 Utama Shopping Mall is the 1st Eco-Mall in Malaysia that embraced social sustainability since its early beginning. Have you visited their award winning Rainforest, it’s a flourishing tropical oasis built right in the middle of the busy shopping centre. It started with the ‘Go Green’ campaigns in 2004 and 1Utama’s Feed-The-Fish Charity Campaign was introduced. There are over 3,000 koi fishes reside here, swimming through interconnected ponds across two floors at the Rainforest. 1 Utama has prepared a vending machine for packages of fish food for sale available daily at the Feed-The-Fish kiosk at Lower Ground Floor Rainforest. Shoppers can buy the fish food for RM1.00 per container to feed the fishes for a good cause. 100% of sales proceeds are then donated to a charitable organization. This attracts many family and children to the Rainforest beside enjoying the greenery and cool environment at the same time they can do some good deeds also. This year, 1 Utama has nominated NGO Bornean Sun Bear ConservationCentre (BSBCC) in Sabah as its beneficiary. So here we are. 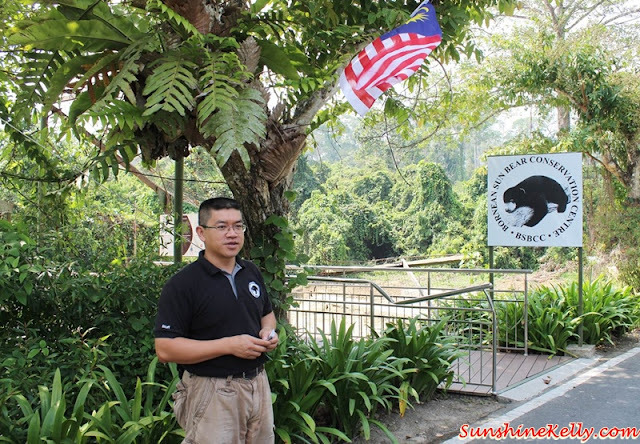 The Founder of Bornean Sun Bear Conservation Centre, Wong Siew Te gave us a details explanation about the Sun Bear, how he started and also the mission of this centre. The collection from the Feed The Fish Go Green Project together with the donation from 1 Utama amounted to RM12,000. 1 Utama’s A&P General Manager Patrick So handed the cheque to BSBCC’s CEO and Founder Wong Siew Te during the presentation ceremony on 26 August 2015 in Sandakan, Sabah. After that we tour around and went to the observation deck to take a closer look at the Sun Bear aka Honey Bear. 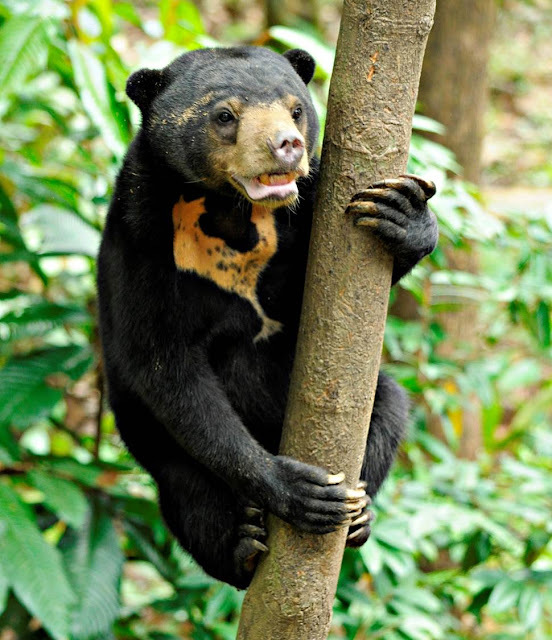 It is the smallest bear in the world and every Sun Bear has a completely unique chest mark. They has large, sickle shaped claws that enable them to grip onto trees and also for digging and ripping apart decayed wood to reach termites, ants and beetles grubs. It’s sad that Sun Bears are in danger from threats of habitat loss through deforestation and poaching. There is an urgent need to conserve this protected species. 1 Utama has educational posters and videos of this project so that more of shoppers are aware of their plight and also the nature. After the Sun Bear Conservation Centre we had lunch at the Banana Café in Sepilok Jungle Resort. I tried this new fruit called Tarap; the taste and texture is like in between chempedak and nangka and the skin or shell is like durian. Well quite like it. Then we proceed to the Sepilok Orang Utan Rehabilitation Centre, the place that we get to see the orang utan in close proximity. It was a day full of activities and nature. 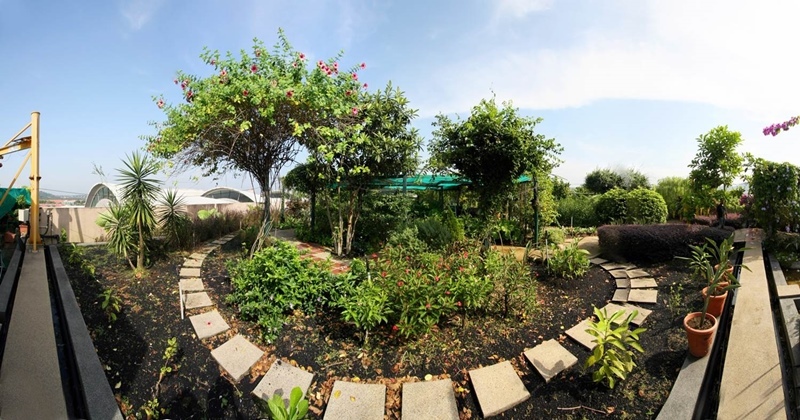 Thanks to 1 Utama for bridging me closer to the nature and cultivate the Go Green Lifestyles. Today, more than 100 species of forest trees is located in the Rainforest, creating a microclimate rainforest habitat incorporates sights such as a giant freshwater fish aquarium, koi ponds, trickling waterfall and overhead suspension bridge. Besides the Rainforest, 1 Utama has also developed South East Asia’s largest rooftop garden aptly named the Secret Garden, which houses over 500 species of tropical and temperate plants. Wow, this article makes me believe that it only starts with ONE. Such a small project that even just one person decides to pursue... and then BOOM... it comes out to something bigger. I applaud you for what you are doing. My husband would love the Seafood Bak Kut Teh! Great campaign, I hope it gets the support it deserves. I have seen sunbear in zoos. I did not know it was already endangered. I do not really know why people do awful activities like deforestation and poaching. They only see nature as a source of money, not beauty. The hokey bear looks so cute!! Looks like you had a lot of fun seeing all those animals. I do hope the money will be used wisely for their benefit. What a nice cause. You must have had a lot of fun during this trip! The food looks great too. You had a feast! I'm so envious that you got to see a sun bear and orang utan so up close! This is a nice initiative to save the Sun Bear. I hope this goes along way in protecting them. This is a great advocacy to save endangered animals like the Sun Bear. I hope more campaign like this will come to save other endangered animals as well as floras. The thousands of koi fish look really wonderful and I know that this kind of fish is quite rare that's why they have a high value. I haven't visited this rainforest before. Seeing the honey bear upclose seems like a unique experience. What does it eat? Wow.. You are having a gala time enjoying there and these sunbears are totally adorable. The sun bear is just so adorable. 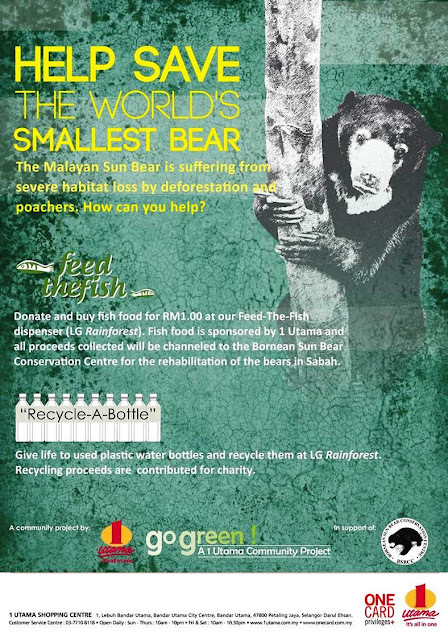 I am happy to see that Utama had such a campaign and chose the Sun Bear Conservation Centre as the beneficiary. It's sad to see animals being unable to protect themselves from the dangers of urbanisation and we humans should do everything we can to conserve their habitats!